Should You Skip Dinner For Weight Loss? It can be said that dinner is one of the most important meals consumed during the day and skipping dinner can lead to detrimental affects on your health. We often underestimate the importance of dinner in keeping our body fit and maintaining a healthy lifestyle. Some individuals who want to lose weight might skip dinner to cut calories, but they do not realize how essential the last meal of the day is. 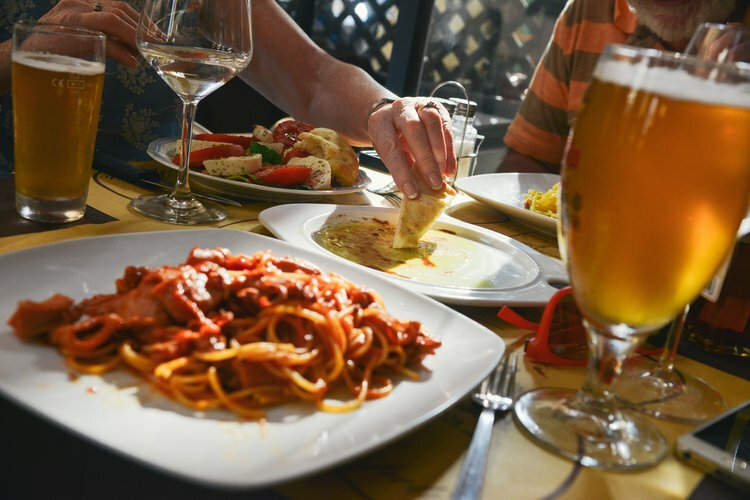 It can be said that dinner is one of the most important meals consumed during the day and skipping dinner can lead to detrimental affects on your health. To enjoy a healthy sleep, a healthy dinner is a must, as it will provide the body with essential amounts of glucose required for regulating the sugar levels in our body. In 2009, researchers from the Leuven Food Sciences and Nutrition Research Centre found that 29% of adults and adolescents regularly skipped the last meal of the day hoping to reduce extra pounds by depriving their body from the essential nutrients. What most of us forget is that a healthy and well-balanced dinner will not only help maintain our glucagon and hormone levels, it will also provide our body with vital amino acids, which are the building blocks of various proteins. These proteins act as important neurotransmitters that actively transport information around our nervous system, generating a sense of well-being and improving our concentration and cognitive functions. According to a scientific finding published in the Journal of Academy of Nutrition and Dietetics in 2012, people who skipped dinner in order to lose weight actually ended up gaining more weight and disturbing their insulin levels, resulting in irregular sugar levels in their body. This led to many hormonal issues. The test subjects who maintained a regular food journal and ate frequently, albeit in small portions, showed quicker weight loss than the subjects who did not. Hence, it was proven that in order to lose weight and gain a healthy body mass index (BMI), one should not skip a meal as important as dinner, but only need to improvise their dinner meal by introducing healthier options. A healthy dinner comprising of carbohydrates (such as potato, flour, pasta, vegetables, rice, or fresh fruits), proteins (beans, eggs, meat, or lentils) along with vitamins and fibers, is required to provide nourishment to our body for regular growth and development. Researchers from the National Institutes of Health (NIH) in 2008 have informed that skipping dinner will cause you to binge on unhealthy alternatives, leading to weight gain and hormone imbalance. Hence, a well-balanced dinner is not only necessary for a good night’s sleep, but also for aiding digestion and protecting our heart from various harmful cardiovascular disorders. So, instead of skipping dinner, regulate your calorie intake by choosing healthier and more heart-friendly options at dinner, and you will develop a better and leaner physique. Abete, I., Hermsdorff, H., Bressan, J., Zulet, M., & Martinez, J. A. (2011, January). Effect of a weight loss diet with proteins mostly eaten at dinner. In ANNALS OF NUTRITION AND METABOLISM (Vol. 58, pp. 265-265). ALLSCHWILERSTRASSE 10, CH-4009 BASEL, SWITZERLAND: KARGER. Jakubowicz, D., Wainstein, J., & Froy, O. (2013, July). High-Calorie Breakfast Improves Weight Loss and Metabolism vs. Isocaloric Meal at Dinner in Obese Women With Metabolic Syndrome. In DIABETES (Vol. 62, pp. A399-A399). 1701 N BEAUREGARD ST, ALEXANDRIA, VA 22311-1717 USA: AMER DIABETES ASSOC.